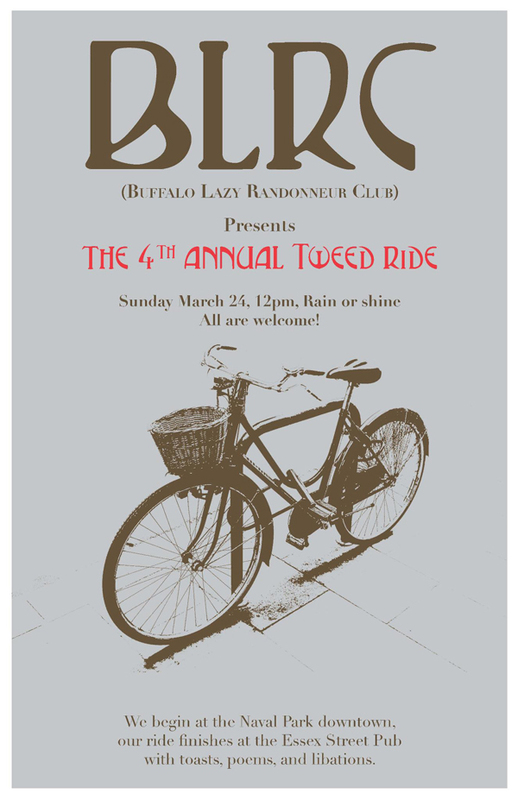 This Sunday is the Buffalo Lazy Randonneur Club’s 4th Annual Tweed Ride. An event that the wife and I look forward to every Spring, even though it’s been looking more like Winter as of late. The tweed will certainly aid in keeping you warm, as will the joyous activities that commence during the ride itself. Sadly the wife is sitting this year out as she is with child, but I’ve invited several fellow Dandies to come along and experience this fantastic event and I encourage you all to do the same. Each year, Buffalo’s Dandiest continue to inspire with their tweedy outfits and I’m sure this year will be no different. Be sure to check out the event’s facebook page for more info, and to relive some of last year’s highlights click here. We ride at the crack of Noon! Hope to see everyone there. 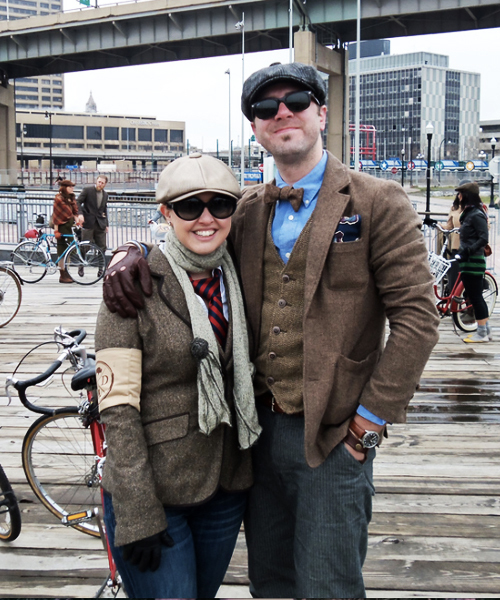 We invite you all to join this year’s Tweed Ride. As usual we shall convene at our Waterfront Park downtown at noon on the first Sunday of Spring. There will be some milling about to greet old friends and take photos documenting our rise from Buffalo’s winter hibernation. At last we shall take to our riverside bike path and make our way to the crosstown Scajaquada Creek path to Olmsted’s Delaware Park at the Hoyt Lake landing. The landing is whence mighty Limburger shall be bestowed upon our finest representatives of the ride. Afterwards, all participants and revelers may descend upon Mackey’s Essex Street Pub for repartee and repast. Please be encouraged to join in with a toast of your own. Mackey surely will have plenty of encouragement flowing to the more demure among us.